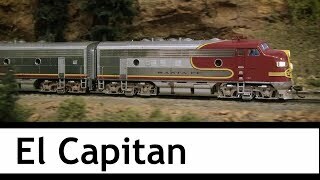 The Santa Fe El Capitan tours the Oregon, California, & Eastern at the Colorado Model Railroad Museum. Museum is open to the public. See for hours and location.